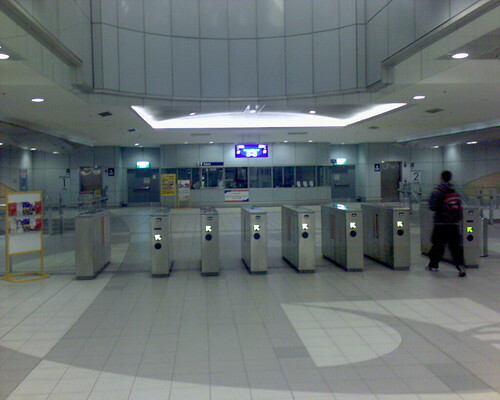 The station is empty. Even the station staff have gone home. Maybe I was leaving work a little late on the night I took this. This entry was posted in Photos and tagged photo, public transport, station, train station. Bookmark the permalink.